Introducing a three-volume set of books about how to use psychology for weight-loss success. Together, the three volumes give women the help they need with the whole process of losing weight: how to START, how to STICK TO IT, how to KEEP IT OFF. Dr. Kenneth Schwarz is a psychologist practicing in Connecticut, where he is on the allied health staff at Sharon Hospital. Julie North Schwarz is a writer in the field of women’s weight issues. Also by the authors: Breaking Up With Food: Maria’s Last Diet, and Diet Tuffy: The Online System for Diet Mastery. They publish the Daily Blog at MariasLastDiet.com. Available at Amazon, Barnes & Noble, IndieBound, Apple, other online retailers, and at nearby bookstores. New You Boot Camp, Europe’s leading weight loss & fitness boot camp has launched a new Corporate Events Division to further expand its portfolio of motivational, inspiring and rewarding services to companies across Europe. New You Boot Camp is an established, highly acclaimed, award winning military style boot camp with experience of providing creative, residential and day events which focus on developing motivation within teams. New You Boot Camp is the only company offering corporate customers an extensive range of bespoke and set military experiences that are perfect for any group. For clients with individual needs, events can be tailor made; whether the event is 1 hour, 1 day or one week. New You Boot Camp’s corporate events can be arranged in locations up and down the country and incorporate fun and authentic military training experiences including; section attacks, military circuits, static training, leopard crawling and team based challenges to name a few. On request New You Boot Camp can integrate further outdoor activities such as coasteering, gorge walking, mountain biking, canoeing, bell boating and caving ensuring each corporate event is tailoring to each clients needs. It is time to shine a light on what makes the difference for successful dieting. It is not the diet that matters most. What really counts is paying attention to the psychological side of things. The new look of dieting is painted into a novel of passionate weight loss called Breaking Up With Food: Maria’s Last Diet. 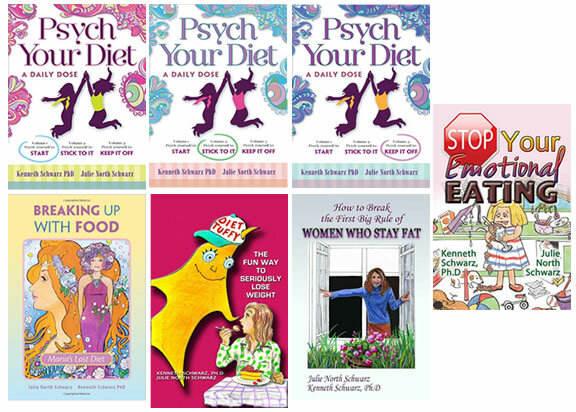 The authors, Julie North Schwarz and Kenneth Schwarz PhD are also the creators of the women’s website, MariasLastDiet.com. The website is a wealth of information about the psychological issues that all too often stand in the way of weight loss. Breaking Up With Food is a self-help book that pulls the reader deep into a psychological milieu. Maria’s weight-loss journey is a story of suspense, mystery, daring, and victory. It begins with an unintended look in the mirror, and ends in triumph when Maria reaches her goal weight at last. Breaking Up With Food is fiction, but there’s a real story behind it. It’s a story for any woman who has trouble dieting. It’s for those who can’t stay on a diet; it’s for those who stay on but at some point gain it all back. It’s for those who keep trying and failing; it’s for those who keep dreaming about losing weight; it’s for those who have given up the dream and want it back. A-listers have been privy to the New You Boot Camp secret for a while, and now with the launch of New You Boot Camps –MID WEEK AND WEEKEND BREAKS, we can all join the elite to kick start our fitness and weight loss even if we have limited time and budget! Join the likes of Hillary Swank, Oprah Winfrey, Barbara Streisand, Renee Zellweger, Gwyneth Paltrow, Cindy Crawford, Cat Deeley, Patsy Kensit and even curvy Catherine Zeta-Jones who are rumored to have enrolled in Boot Camp’s to get that A-list body. New You Boot Camp have at last launched the long awaited mid week and weekend booster breaks. We are offering a 2 night mid week break and a 3 night break which is over the weekend to fit in with your busy schedules. Both breaks are open to ladies and gentlemen so why not bring your partner along too! The Booster Boot Camp have been especially formulated for those looking for a kick start into fitness and a healthier lifestyle, and for anyone who is beginning a new journey to discover the,“New You”. You will experience a taster of our famous globally recognised, week long, residential boot camps. Perfect for boot campers that can’t find time in their schedules but still would like the challenge of New You Boot Camp. The boosters are also perfect for returning clients who need a further helping hand to keep them on track to their healthier lifestyle. Does Acai Berry Helps In Weight Loss? Acai Berry is said to be a great weight loss product. A website reveals the truth by a detailed analysis of all aspects to come out with a verdict. The effectiveness of weight loss pills is always debated. It is true that some weight loss pills help in losing pounds keep it off and improve overall energy. One should not get into something before doing some research. Obviously companies selling products will always says good about their product. Weightlossnpills.com did a comparison of some of top diet pills in market considering a range of important parameters. 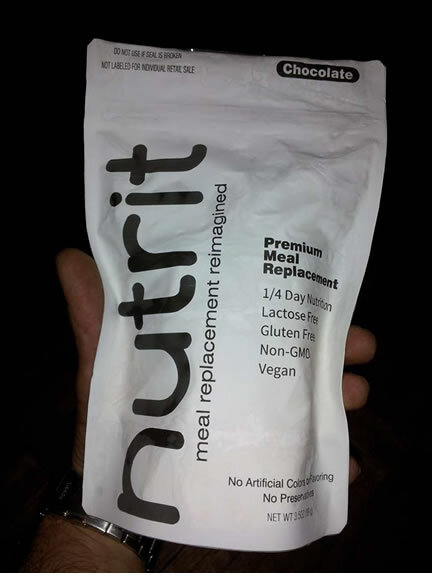 The parameters for comparison included Company reputation, Product price, Side effects, Ingredients used, Support, Long term benefits, Weight loss power, Money back guarantee, Re-order rates, Shipping and Positive User reviews. These are very carefully selected parameters which provide a common ground for comparing products f r o m different manufacturer each of which had their own claims. There are many products, says director of website. C9Acai is a super concentrated extract of the Acai berry, and the only supplement to offer 1200mg of this extract per serving. The Acai berry promotes weight loss by many different methods, reducing fat through a multi-pronged attack. Acai berry is also a great appetite suppressant. There are no any side effects even if you take C9Acai for long time. It can be used as weight loss medicine for both, men and women. Gastric Band surgery is not an instant solution to weight loss. Having a gastric band fitted will assist in decreasing overall daily food intake and can help you achieve a sustainable weight. The Gastric band works by causing a feeling of fullness when eating and will enable you to reduce your daily intake of food and calories. The gastric band will make you eat less, it will reduce the sensation of hunger and will progressively aide weight loss. This is achieved by placing the band around the uppermost part of the stomach, dividing it into two sections, with a small opening between sections which allows food to pass through. The section above the band forms a small pouch that fills with food quickly. Having the gastric band fitted will lead to a healthier lifestyle and lower the risks of obesity related illnesses However changing your eating habits is an important part of the gastric band surgery process. The gastric band will help you to achieve substantial weight loss and reduce the risk of obesity related illnesses. To achieve the maximum benefits from having the gastric banding, post-operative discipline is an important part of the process. You will need to go on a diet immediately after the gastric band surgery. You will obtain a detailed dietary plan with essential and important advice from your specialists. After the gastric band surgery you can consult the plan with a dietologist recommended by your doctor. Generally it means that following the gastric banding you will only be able to consume liquid food within the first four weeks such as soup, tea, coffee, unsweetened drinks, fruit and vegetable fruits, yoghurts etc. You will need to reduce the amount of fluids consumed and not eat or drink large amounts at once. The following two weeks you will be able to eat small portions of mushy, mixed food. Next the diet will be replaced with common food. Please consult your doctor for more detailed information. These slow changes of eating habits are important for your recovery. During this process the gastric band will be, thanks to body tissue, firmly placed on the appropriate part of your stomach. Consuming large portions or frequent consumption of solid food increases the risk of dislocating (moving) the gastric band out of its position or the possibility of gradual upper stomach pocket stretching. The consequence might be reduced weight loss and in some cases necessity for re-operation. Following the gastric banding you might find some food hard to eat. You will need to chew your food more carefully than before the gastric band surgery. Keep in mind that even after the gastric banding there is no quick solution to reduce your weight. The results depend upon your ability to respect recommendations concerning your diet and exercise routine. There’s a new diet game in town and it’s not a diet. It’s called Diet Tuffy, an online system to help a woman succeed on any diet she chooses. Developed by a psychologist, Dr. Kenneth Schwarz, Diet Tuffy is based on the psychological principles of problem finding, breakthrough thinking, specific planning, and goal achievement. Dieting remains at the forefront of most women’s minds. At any given time, 45% of women in the U.S. are on a diet, but here’s the raw fact: 62% of women ages 20 to74 are still overweight. The problem is, most women can’t stick to a diet. Through a series of fun-filled and confidence-building steps, Diet Tuffy helps a woman succeed where she has failed before. She can now successfully square off against lack of willpower, emotional eating, negative thinking, temptations, stress, and all the other dieting foes. To learn more, go to www.diettuffy.com. Don’t be surprised. I’ve certainly tried to do it many times before, but I always weakened and went back to you. I finally woke up and realized this relationship is not good for me. I’m not getting what I need from you. It’s hurting me, not allowing me the space to grow in the ways I need to grow. You’re holding me back. I know I’ll have separation anxiety, but I’ve stayed with you too long, way past when I should have. This just isn’t working for me. You don’t listen to me. You don’t give me attention. You don’t care about what I’m going through. It’s almost like you don’t have any feelings for me at all, yet I’ve stuck close to you, helpless and dependent. I know you won’t let go of me so easily. I know you’ll keep calling me, asking me to come back. But please, let me go now. In the beginning you were always there, ready to calm me and soothe me, but it went too far. I came to rely on you. I looked to you for everything. In all fairness, it was too much to ask of you. No way could you fulfill all my needs. For so long I’ve settled, afraid to go out there and find something better for myself. I need to do that. I now withdraw my heart from you so I can be free to put it elsewhere, some place where I can be loved back. I’ve tried to break up with you before. This time it’s real. I want to be on the cutting edge of my own life, and I can’t do it while I’m still tied to you. Thinking about being free scares me, but I want it. I must have it. I think I’m brave enough at last. I know I’ll long for you. I know I’ll think of you a lot, especially during those hard times. I know I’ll be tempted to come back to you. But this time I’ve got a plan, things I’m prepared to do when I get lonely and sad. I’ve been thinking of other ways to celebrate when I’m happy or proud. I have remedies in place for being bored or tired. At this point you’re a troublemaker in my life and I intend to keep my emotional distance from you. So in a way, this is goodbye. Of course, I’ll still come into contact with you day to day, but let’s just be friends, not lovers. Don’t cry (although you never do, it’s me who does all the crying). AIDS Research Assistance Institute, a non-profit organization, has been monitoring hundreds of people with AIDS/HIV when they add the immunity boosting food supplement, ‘concentrated Flax Hull Lignans’ (FHL) to their diets. The results are better than expected and may hold a key for future researchers as they try to find solutions to the AIDS pandemic worldwide. Boasting a 92% success rate, A.R.A.I. has been involved with rural Southern African grass roots organization leaders who have been giving FHL to people suffering from the AIDS/HIV virus. Typically when an HIV infected person adds 1.5 tsp of the FHL to their daily diet, their viral loads drop significantly (around 35% of them drop to non-detectable within the first 6 weeks!) and their CD-4 counts (measurement of immunity) raise in great numbers. A malnourished child will also typically start growing in height and weight once introducing the FHL into their diets. Many children have grown between 6-11 cm in a three month period! Researchers can only speculate as to the exact function of the FHL that is causing the success. Many studies have been done in the U.S. by doctors that show lignans boost immunity. The FDA has reported that flax seed lignans have anti-viral, anti-bacterial, and anti-fungus properties. * Tests have shown that FHL’s ORAC values (measurement of anti-oxidants) are very high. Kale, the super anti-oxidant dark leafy green vegetable, has an ORAC value of 1770, while FHL’s equivalent ORAC value is 19,600. FHL has typically been researched for it’s effects against cancer but now hundreds of people with AIDS/HIV are feeling better, going back to work, and are causing researchers to take a serious look at the possibilities of using a simple, all natural food supplement to help fight AIDS/HIV.